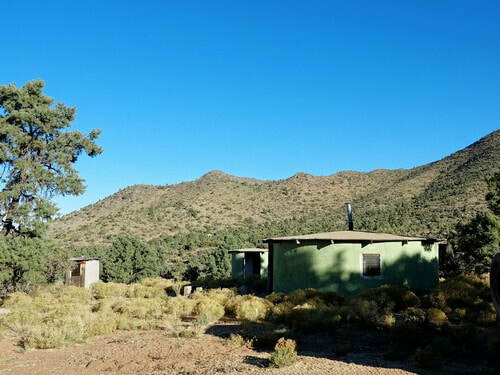 Access to numerous Jeep trails on the western slope of the Hualapai Mountains. 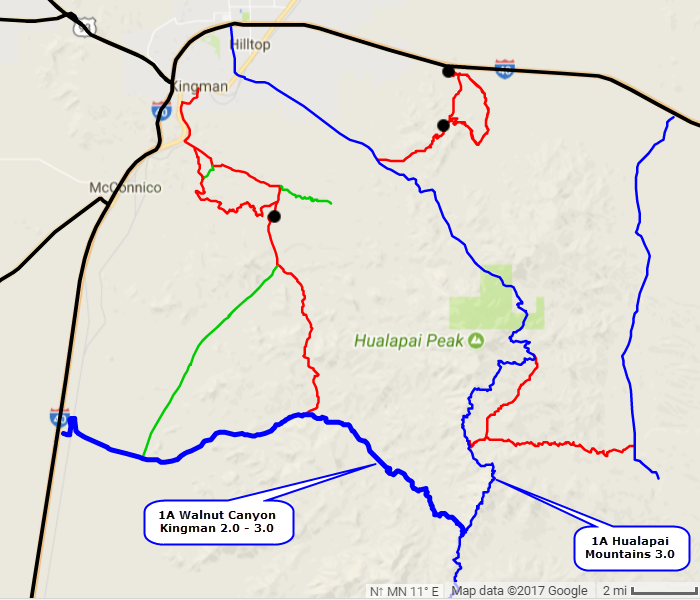 This road runs from I-40 to the top of the Hualapai Mountain Range, ending in the middle of Hualapai Mountains 3.0 trail. 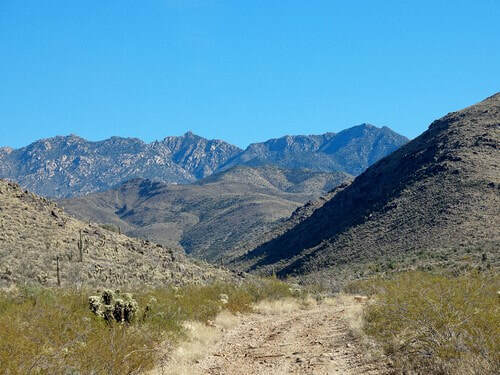 There are quite a few trails connecting to this 17 mile, slow, rough and bumpy access road, but only one shows on this website. We were not excited about trails on this slope of the Hualapais - most were narrow and scratchy- so we only did the one. The first part of this run is in flat, open desert and is rated as 2.0. Road conditions deteriorate as the trail rises higher, until the last couple miles is rated 3.0 because of heavy erosion and gullying. Scratchiness also increases farther into the trail. 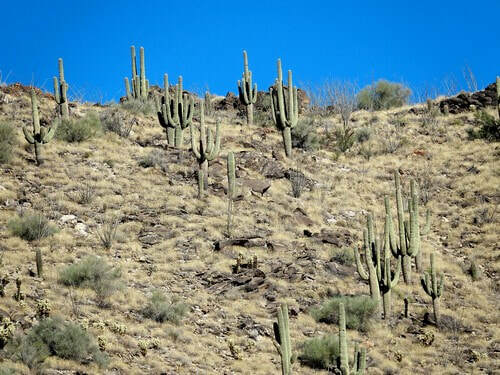 There are a few saguaro just as the foothills begin. A Kingman resident told us this set of circular buildings was where Timothy McVeigh, the Oklahoma City bomber, lived as he prepared for the bombing. We have no way to either confirm or deny this statement, but it sure makes a good story.